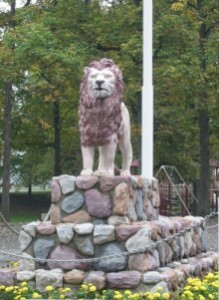 At the park entrance stands the famous Meadowbrook Lion. The Lion greets everyone young and old as they enter the park. It has become an icon for the park. Almost without exception all the youngsters have to get their picture taken sitting on the Lion before they leave the park. 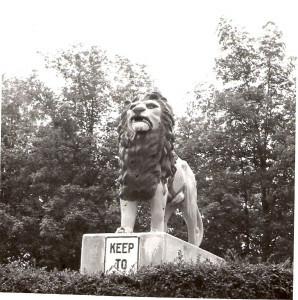 “Legend” has it the Lion came from the original Lion Department Store in Toledo when they relocated in the mid 1920’s. What is known is that the Lion came from Nelson Miller’s yard in the town of Ink or Swander’s Station as it was know then. Mr. Miller sold the farm and donated the Lion to Meadowbrook. 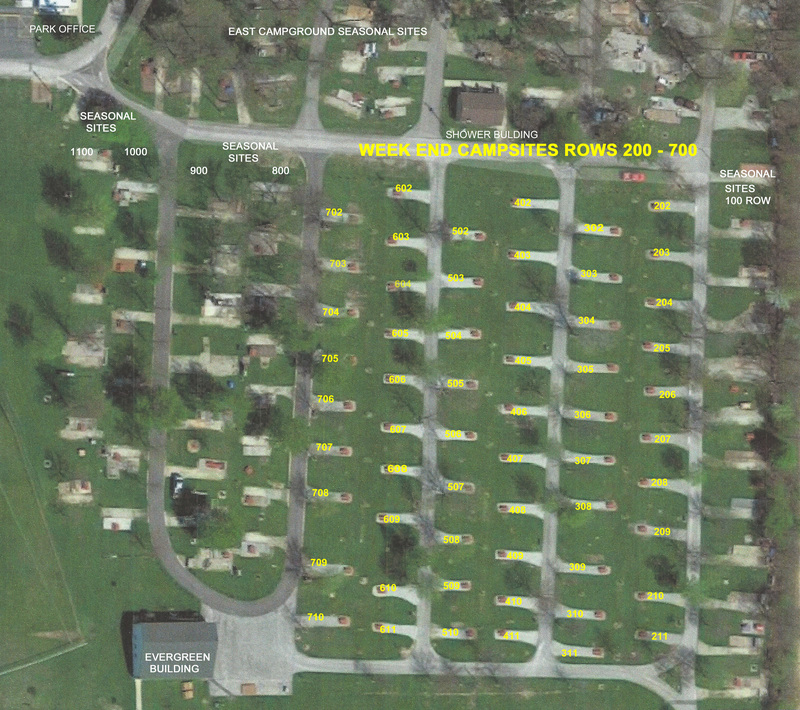 No one knows where Mr. Miller obtained the Lion but Mr. Lester Webster of Morningstar Drive in Tiffin remembers it “always” being in Miller’s yard, before the move to Bascom. The neighbors all helped to load the Lion on the back of Alva Fretz’s truck for the trip to Meadowbrook. They used rollers and planks as they did not have a hoist. 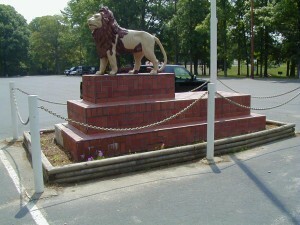 The Lion has stood on the pedestal ever since 1928. In 1986 a flag pole was added to the pedestal where the lion stands and during a ceremony for the Sesquicentennial a time capsule was placed in the pedestal. The pedestal was then finished with tile from the Miller Tile Company in Bascom.